The Wiegands: big news! American Blogger. The Movie. big news! American Blogger. The Movie. How do I even begin this post? With huge huge butterflies in my tummy, that's how! As I started down this blogging journey so much has happened. I have connected with friends all over the world, I have worked with amazing companies, I have cried over my keyboard and laughed hysterically. As you know my Chris has posted films here on this space from my first days of posting. He is unbelievable! So many of you cheered him on in last year's 168 film festival when he brought home numerous awards all the way to when he went freelance and started his very own film company. 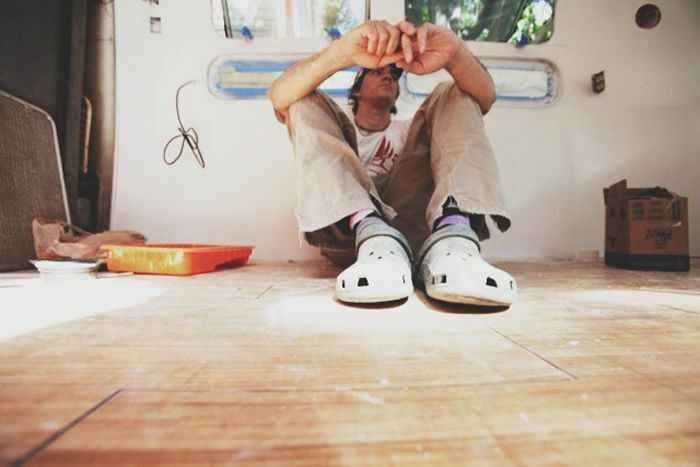 Chris has had the idea for over a year now to travel the entire United States. To go out on a journey to talk to these bloggers that I love so dearly....that so many of you love so dearly. Then more recently we realized that this dream was going to actually happen! A DOCUMENTARY ON AMERICAN BLOGGERS. "What started this whole film idea for me was how my wife loves to blog/instagram so much and she is always meeting new people and, in most cases, really (sincerely) connecting with people around the country (and world). I was really more interested to dig deeper into all this blogging/instagram/twittter world and one, help people understand how cool it is to have an area on the internet that is all yours. And two, I hope to sort-of take a visual snapshot of this time in history when all these instagrammers/bloggers are able to put something out there into the world and really shape culture (in a positive way). An example of a visual element (besides the interviews and actual stories) - Imagine a woman sitting in a skyscraper apartment in NY and she reaches in her pocket and grabs a phone, takes a pic of the city below and uploads it. Then imaging another, sitting on a porch looking at the mountains, grabs their phone, takes a pic, and uploads it. This is so visually beautiful because they are both doing the exact same thing from two completely different worlds and perspectives. I think this is important to show the differences and similarities!!! I truly think this will be a emotional movie as well as a big hit." The plan is that he will travel the US in our airstream ( over an 8 week period). He will be filming and documenting his journey the entire way as well as taking pictures. The neat thing about him traveling on the road is that he can stop and create time lapses (like this one) and dig deeper into certain stories if need be. He has his cast set ( he has had people inquire about this and you never know...there could always be an American Blogger 2 to tell a whole new round of stories, there are SO many amazing stories out there to still be heard!) I cannot wait for you to see who all he has on board. He will be blogging about this journey (I will be sharing snippets as well) and also sharing along the way on instagram (hashtag #americanblogger). This is to share the beauty and emotion about this community and this time period. So many of these ladies I have followed and adored for so long and to know how Chris tells stories through film, I am just beside myself with excitement to see the final product! Once he is completely finished, we will sell the film on iTunes! Each of the bloggers involved will be showing the film trailer, a few outtakes and a link to where it can be purchased! This is obviously a huge financial risk for our family but we are so excited about the movie and just thrilled by the support we have received already!! Thank you so so much!! Next week I will be running an Instagram giveaway as an incentive to help spread the word about this film ! 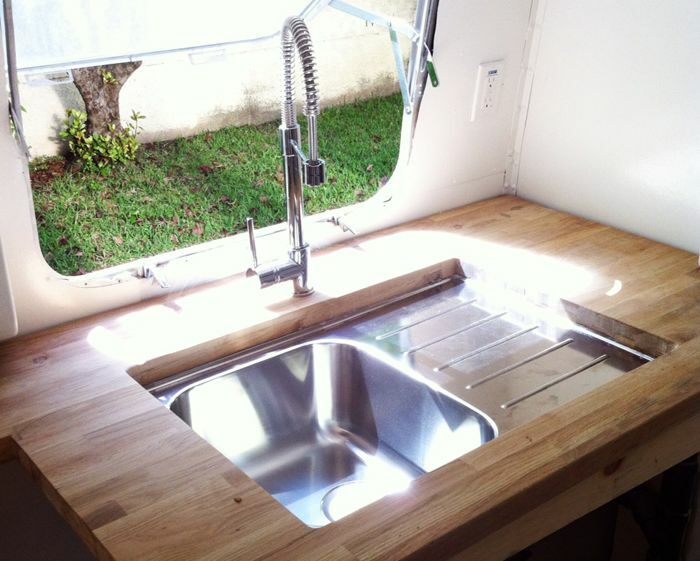 Some more airstream renovation pics! This is a great project! Woohoo! I'm so excited to see the movie! I think this idea is pure genius. Good luck with production!! EEEEKkkkkkkk Casey!!!!! This is SO SO SO exciting. I cannot wait to follow along on instagram and to watch the movie when it comes out!!! This is genius! I have a very warm feeling about this in my heart! This is going to be BIG!!!! congratulations on marrying such a creative soul. Amazing! What super exciting news! I'm cheering you both on~~ and more importantly, I'm praying for your sweet family throughout the journey. Hugs from Indiana my friend! So, so exciting!!! Can't wait to see the final product!! NO WAY. This is so rad!! What an amazing adventure he is about to embark on - sending lots of prayers and love. I have no doubt this will be so, so incredible! LOVE YOU. xo. I think this sounds amazing! I can't wait! OMG! what a great idea! you guys are pure genius! love it and you guys! congrats! oh my goodness...NO WAY! what a beautiful adventure and the true meaning of chasing a dream! please please let me know when he will be in Utah! i would be honored to share my story. how awesome, casey! best of luck to your husband on the project and can't wait to see it! so exciting. what a testament this in to your life on what can really happen when you out God first and take a huge leap of faith. going to be a hit!!! such an awesome idea! Wow! What an amazing adventure!! This is going to be so much fun following along with you! super love this, girlfriend. praying for wild success and joy the whole ding dang way. xoxo! AGH!!!! SO stinking excited for you friend!!!! This sounds amazing!!! So perfect for this time in our culture where news and information in general is shifting to now come from bloggers first. And how people are turning blogging into such big things and their own companies. Omg I'm getting so many ideas myself of the directions this could take and am so excited for the final product! How awesome!! Love that your passions can collide in such a unique way!! Praying for huge blessings as you take this risk! What an amazing journey up ahead!! Oh my goodness, how exciting!!! :) I'm looking forward to following along! Oh wow... this is awesome!! My favorite part of blogging is the friendships and connections that happen between bloggers. What a wonderful world of friendships blogging is. I can't wait to see this!! How awesome! I cannot wait to watch it! Also, has he thought of maybe doing a kickstarter?! Casey this is SUCH a cool idea! Sending all the best of luck to Chris on this project! Absolutely can't wait to see it!!!! Wow. This is so exciting!! And such a fantastic idea!! Cannot wait to follow along on this journey with y'all. Congrats! That is really exciting news. It is inspiring that the two of you are living your dream and letting God lead the way. Thank you for sharing it with all of us. Can't wait to see the movie. That looks like an amazing project!! Wishing lots of luck on your journey! woah Casey. such an amazing perspective. He has such an eye too. I am sure it will be amazing! 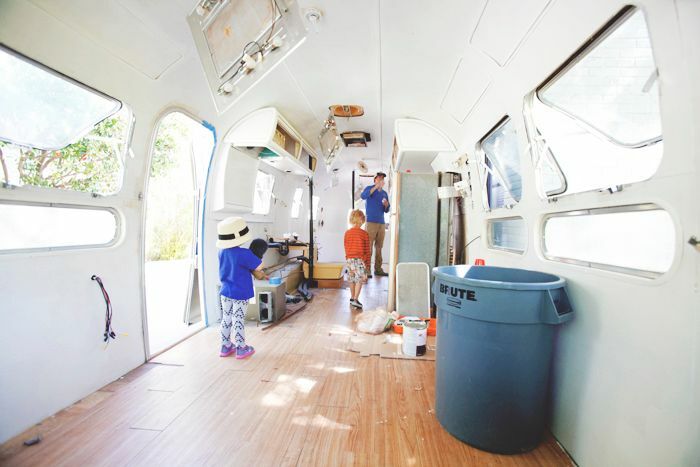 And that airstream? Man, o. man. just a bonus!! That will be really cool. Very cool! I can't wait to see this movie. Good luck to Chris! Can't wait to follow along! I am so excited to follow along and see the final result! What a fantastic idea, I can't wait to see who he films!! What an amazing idea. You know, I have never been a fan of "reality TV" because the media turns it into a disgusting thing. I love the blogging community because there are so many women (and men) sharing their love for the Lord. I can't imagine how beautiful and spiritual you two are going to make this! I hope to see Chris make it through North Carolina. This little town is so new to me, but I love it so dang much! OH MY!!!!! that is so exciting! i can't wait to watch it! this is so cool, can't wait to see it! Casey - This is so incredible! What an amazing chance to capture our world. The world where expression and creativity are key. You and your family are changing the face of blogging! I cannot wait to see the movie!!! Good luck - your risk will pay off for you! OH MY GOSH!!!! How exciting!! This is such an amazing idea! Good luck to Chris! I hope you guys create nothing but wonderful memories and experiences during this adventure! Looking forward to hearing/seeing more about this and the final product of course! :) Congrats to you guys! So exciting :) Can't wait!! You guys are the cutest little family I have ever seen! That's amazing. what a great opportunity. Love how the renos are coming along. This is exciting news! I look forward to it being completed so that I can see it. I bet this trip will not only be fun and interesting, but eye opening for your husband as well. Best of luck as he begins this journey soon! So amazing! It's such a beautiful world, blogging. One that i think is too often misunderstood. so excited to see your talents make this an epic film! What an amazing idea!! 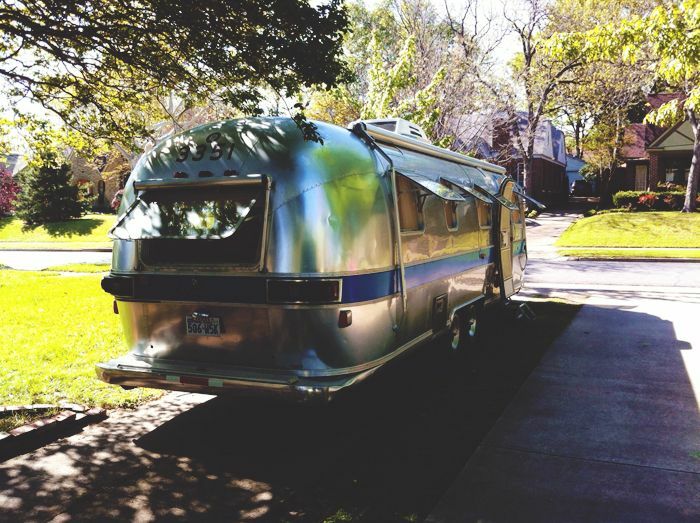 Good luck on the journey in that AWESOME looking airstream. Seriously, if he wants to move on from film making he should just upgrade airstreams for people. I think it's a calling. What an exciting adventure! And nice digs while you're rolling! This is seriously just about the coolest thing EVER! :) So excited for you and your family and to see the final product! Awesome project! I'm a blogger, who also works professionally as a film producer in Toronto and I'm fascinated with this concept. Good luck to Chris on this incredible journey. this is so very exciting and I am sure he will be very busy BUT as you have previously mentioned you and the children will miss Daddy very much Daddy will also be missing his family. I thick I would be a very nice gesture if your readers would be keeping him in prayer also. It is a given that we would be keeping you and the children for strength and protection with Dady gone but let's not forget Chris. He jst might get a bit lonely too. Congrats on taking such a big risk! This is such a great idea. Can't wait to see it. Best of luck! This is a great idea! Best of luck and I can't wait to see the movie. SO excited! I can not wait to follow along with this journey! I just stumbled across your blog and I'm so glad I did. This is such a great idea and I look forward to following your journey. It will help to highlight the blogging community which is definitely here to stay! I'm a UK blogger but a keen follower of some of the many amazing American blogs out there. I wish you and Chris bags of success in this exciting venture! i am friend of ashley stock's. just had to say i think this is so genius. having a blog myself i am dying to see how others do it. how they feel. why they connect. cannot wait for this project. i will definitely be following along. if you head to yellowstone area, i'm a mountain town blogger in jackson hole and would love if you stopped by! Casey, I know I already commented on this on twitter but I just had to leave a comment on the post as well. This is such an awesome incredible idea. I am so excited to see the lives of bloggers that your husband captures in this documentary. What a project to take on but truly amazing. I am thinking of y'all through this and wish him the best of luck with it and my prayers for your family and this film. And I am already so excited for it to come out that I definitely will be buying it from I-Tunes as soon as I can. I can't wait to follow along with this journey! So cool! How cool is this! I think its a great idea. I am pumped to see who your husband captures. If yall head to Atlanta thats where im at :) - we go to an amazing church that I bet your husband would have fun filming at. Google "First Baptist Woodstock" - and we have spare rooms here if you need a pit stop, your welcome any time! Have fun! :) Oh and I could do yalls pics ;-) - cause every photographer needs that done for themselves at some point, without a self timer. 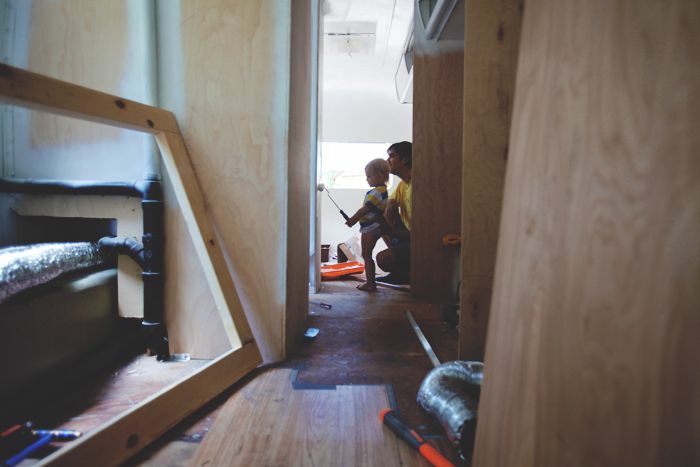 Dying over this and have been waiting to see what you were doing since you first posted about the Airstream. :) I heard you speak at Influence back in the fall and was always too shy to say hello, but have been reading your blog for quite some time. So so very excited for you! So fabulous. I cannot wait to see it and his journey to film it! wow! just ran into your blog last night and i could not stop reading. i'm not sure how i have missed it in the past. your family is very inspirational for a new mama and new blogger like myself. thank you for sharing here and allowing others to link. i look forward to visiting again. Oh Casey, what an INCREDIBLE idea! I'm telling you, because you both took the risk to follow your calling, to jump into the creative world and use the gifts God has placed in you, some pretty amazing things will rise out of it. I feel it and I cannot wait to see it all unfold! This sounds awesome! I am so excited to hear more about it and see the film! I love how you guys go for things. So often I've been inspired reading your blog about your blog, your studio, your husband's projects. It reminds me that we can choose and chase our own dreams. Blogging is indeed interesting - how someone we never met can help inspire actions in our daily lives. I can't wait to see the film! That is an AMAZING idea and I SO look forward to watching it!! I know it'll be an awesome film! Way to go, you guys!! You are such risk-takers and go-getters! I love it!! and you will look back without one ounce of regret! Wow. You guys are incredible, and inspiring and just so so rad. Th most amazing idea. Can't wait to see it! Just found this by accident, hope you make it to NYC where there a lots of bloggers. Maybe cover an event of how its done in NYC. will be following on instagram. i am super anxious to see this movie. The very best to you both. Was inspired by the treatment given the momentum of positivity with the blogging world, interesting how this can and is being used to share hope, love and light. I'm truly thoughtful right now about my role. Love the project - can't wait to see the results!!!! I just found out about this project through Instagram. Sounds amazing! Looking forward to the film (which I'm sure will be amazing!) and following your blog.